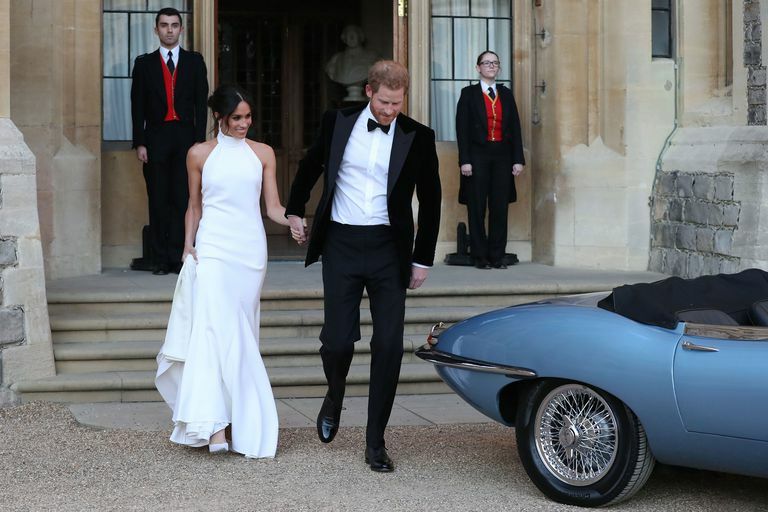 With the 600 guests who attended the spectacular royal wedding at St George’s Chapel, there were a lot of spectacular outfits to feed the eyes with. And while the bride’s Givenchy wedding gown left us feeling jealous, it’s her reception dress that got us fall head over heels. 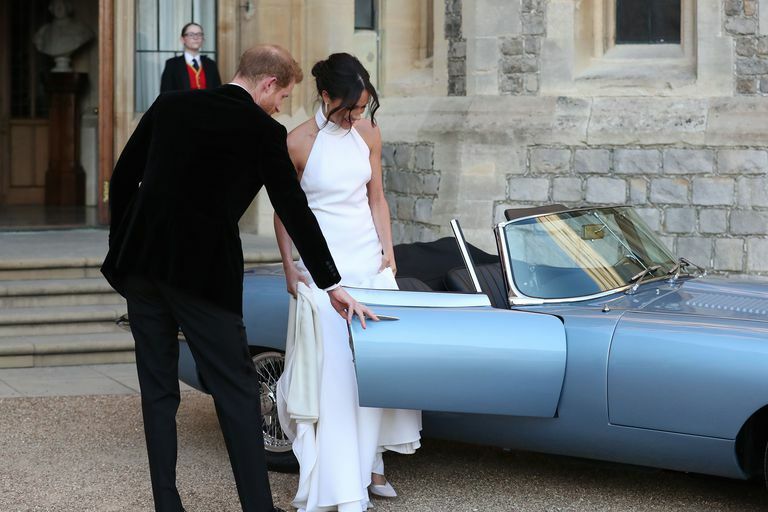 Just after the church wedding, Meghan who is now the Duchess of Sussex swapped her first gown for something sexier for the evening reception, donning a high-neck fishtail gown by Stella McCartney. This romantic white number features a sleeveless silhouette that perfectly showed off her slender arms for her beloved Duke of Sussex. And she can be seen lifting some parts of the dress to reveal her eye-catching court shoes. Not to ignore the groom, Prince Harry was a simple sophistication, trading his uniform for a black suit and bow-tie. 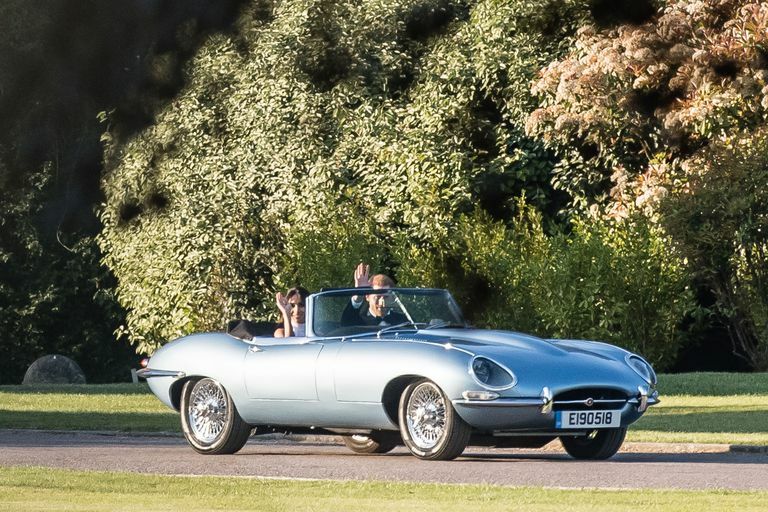 The newlyweds were then pictured holding hands as they departed the Windsor Castle for their evening reception at Frogmore House while driving themselves out in a vintage, blue Jaguar E-Type Concept Zero, originally manufactured in 1968.